The blind mortise in the leg has angled ends on the top and bottom that create a dovetail-looking mortise. 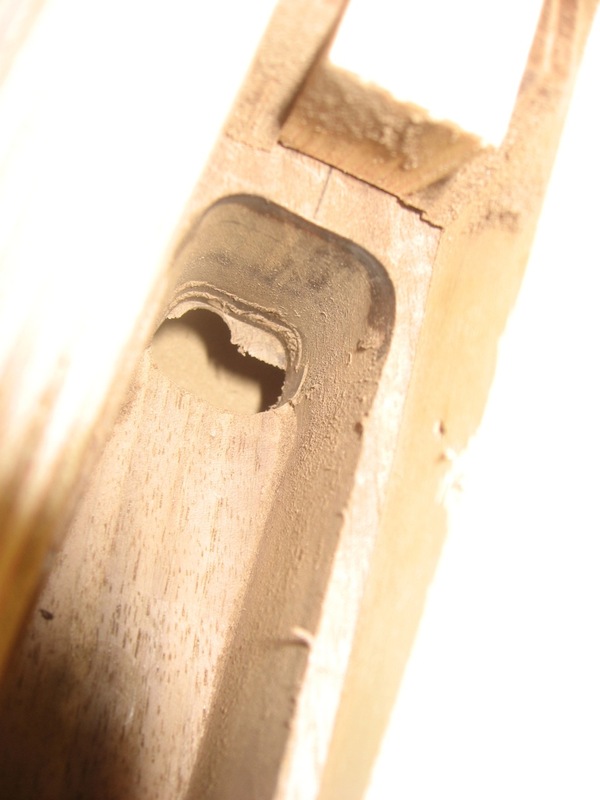 The tenon has a matching angle on the bottom (half a dovetail tail), so it slips into the mortise then lowers down into the matching mortise angle. 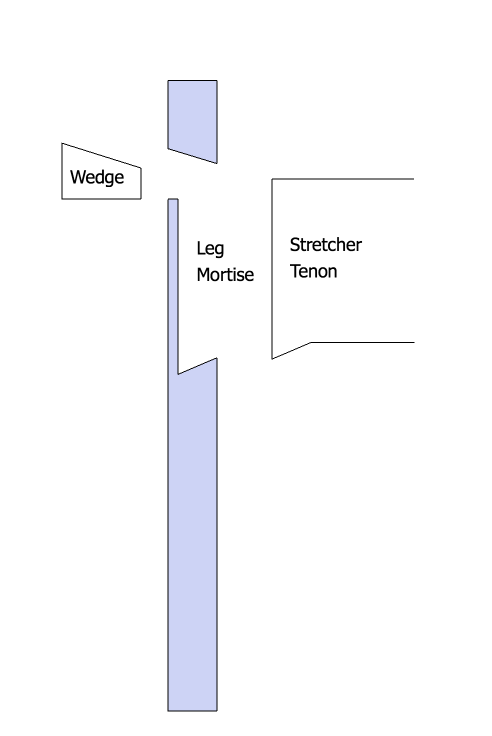 The picture below is a cross section at the location of the mortise. To create this, I made an auxiliary jig for my router to run on which references off the mortise jig already used. This jig angles the router a little so that the straight bit removes material at the bottom of the mortise at the correct angle. 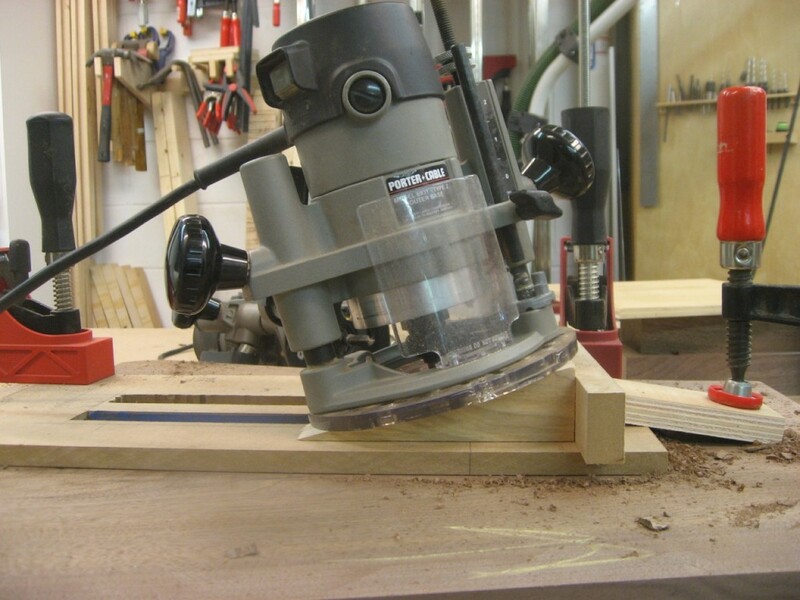 This jig has plywood pieces cut at an angle and set apart the distance of the mortise.